While visiting Bestbrook you can explore Gnomes Gully, or the Mountain Track (directions available at reception) up to the lookout on your own and keep an eye out for the occasional Koala. As you climb the mountain you will spot the multitude of bird life that coexist with us – birds like the Wonga Pigeon, or maybe the rare Eastern Bristle Bird, the many breeds of parrots such as Coxen’s Fig-parrot, king parrots, grass parrots or even the majestic wedge-tailed eagle. It is also important that you keep your eyes open for snakes as well. The Summit is around 960 metres above sea level and the creek is around 580 metres so the climb is considerable, once conquered take in the view to the east towards Mt Mitchell and Mt Cordeaux or the patchwork of farming country towards the west. It is advised to take care when bushwalking as our mountain is rugged and venturing of the existing tracks can be dangerous. Don’t go alone and if you do take a phone. Gnome’s Gully Cave walk. Approx 1km return rated easy. Directions available at reception. Easy for the whole family. Sandpaper fig, ginger lilly, wild rosemary, wild banana, wild raspberry, wild grape, wild cherry, wild mulberry, wild mint, wild turnip, long yam, hairy yam, grass yam, pepper cress, mustard cress, watercress, sheppardspuse (cres), rib leaf plantain, swamp doc, rice grass or Lamandra, giant orchid, tree fern, tree orchid, ground lilly and cactus fruit (not native). Red goshawk, Coxen’s fig-parrot, Eastern Bristlebird, black-breasted buttonquail are a few that we are told are in the area, attached is a list produced by Queensland Government wildlife online of flora and fauna within a 5km radius of Bestbrook. 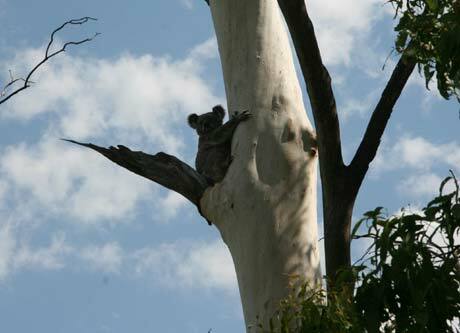 Bestbrook has a number of species of Australian wildlife such as koala, wallaby, bandicoot, phascogale, possum, cockatoos, ducks, tiger quoll, giant barred frog and tawny frogmouths to name a few.